More than $20 million is anticipated for Yalanga, the largest freehold grazing property on Queensland’s Sunshine Coast. THIS week’s property review includes a wrap-up of interesting recent listings across the country, and a separate article of recently completed sales of note. 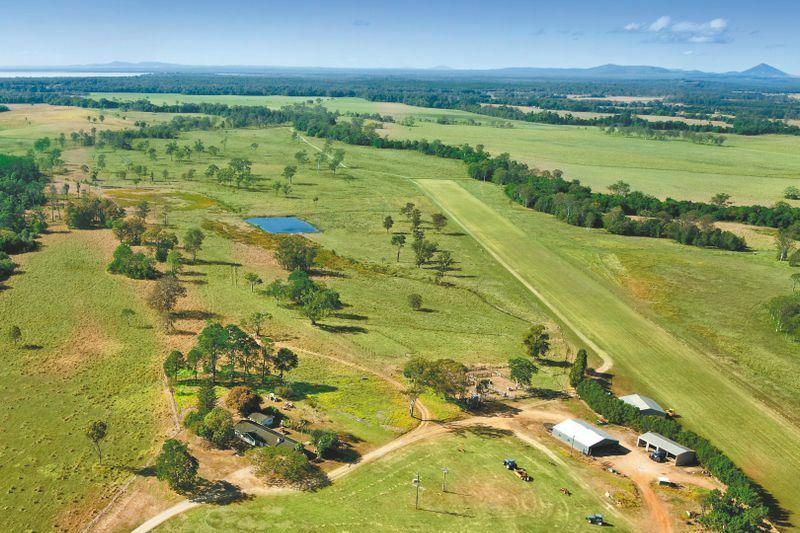 More than $20 million is anticipated for the largest freehold grazing property on Queensland’s Sunshine Coast. Located at Como, 17km from Noosa, the property is owned by a syndicate of vendors, comprising four families who live on the Sunshine Coast and in Central Queensland. Ben Forrest from Colliers International said Yalanga was suited to those who demanded quality. “The property has a 1500 head carrying capacity and adjoins the world renowned Cooloola National Park and Noosa River Waterways. Majestic trees and huge Kari Pines line its pristine creeks,” he said. There are also numerous lagoons, dams, fertile farming land and highly improved pasture including 800ha of rich alluvial river flats used for cash cropping plus cattle grazing. Mr Forrest said Yalanga is situated in one of the fastest developing and most sought-after areas in Australia, making it is a unique investment. Mr Forrest believes around $12,300/ha for Yalanga is achievable. Expressions of interest for Yalanga close on December 12. Chatsworth House, one of the finest and most versatile historic holdings in Victoria’s Western District, has been listed for sale with a $22.5-$25 million price tag. The district is renowned for its consistency and reliability, with proven winter crop yields (including canola, red wheat, white wheat, barley and oats) and a recognised ability to fatten livestock. The 2400ha property, pictured above is currently carrying 12,000 composite ewes, with the ‘Chatsworth Prime’ brand well regarded by prime lamb retailers across Australia’s east coast. Situated 30 minutes from Hamilton, the country boasts gently rolling fertile grey and red sand loam soils which graze 300 steers twice annually, with pasture set aside for hay and silage. Chatsworth House, which is meticulously presented, with quality infrastructure and ideally suited to its broad scale versatility, was listed for sale three years ago but failed to sell. Water is a feature with many paddocks having access to the permanent Hopkins River and Churrup Creek. In addition, water is reticulated throughout the property from two 4mgl and 6mgl dams. The 1200sqm historic bluestone Chatsworth House homestead (circa 1858, pictured below), overlooking the Hopkins River, was designed by prominent Hamilton architect James Fox for pioneer pastoralist John Moffat. It is widely acclaimed as the finest example of Victorian architecture in rural Victoria. The surrounding formal English garden was designed by Edward Latrobe Bateman. Shane McIntyre from CBRE said the iconic property, which is being listed for the first time in 20 years, has attracted widespread interest. “Chatsworth House is appealing to buyers from Melbourne and Sydney and from corporates – both national and international – due to its versatility, flexibility and outstanding Victorian-style improvements,” he said. Chatsworth House has been listed for sale by expression of interest by CBRE. 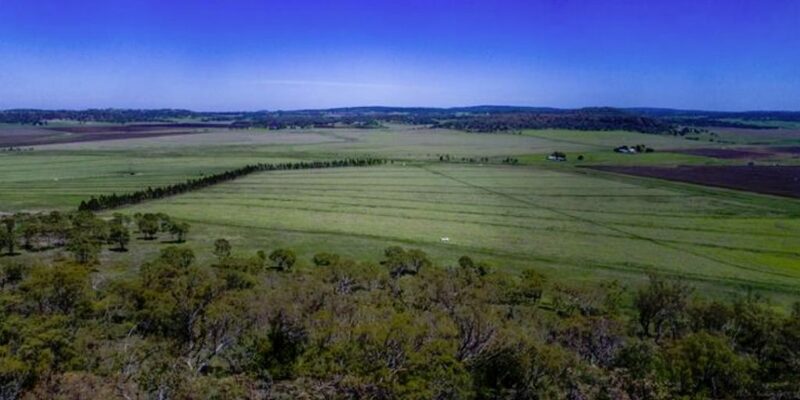 A 519ha high-quality grazing, farming and lifestyle asset, 30 minutes from Toowoomba in the Darling Downs region of southern Queensland, is expected to sell for between $3 million and $4 million. Cowarrie, which is also close to major centres, schools, grain outlets, feedlots and abattoirs, will be auctioned by Colliers International on December 12. Featuring soft alluvial flats and sloping cultivation soils, the country is shaded by coolibah grazing hills. The highly productive pastures are improved to medics and multiple grasses. Cowarrie boasts double frontage to the spring-fed Hodgson Creek, is watered by three equipped bores and has a 61 MGL water licence. A feature is the historic four-bedroom Queenslander with picturesque views. Selling agent Ben Forrest said the owners are selling after 16 years to move closer to family in Brisbane. “Cowarrie would suit locals wishing to scale up, producers from further west looking for a connection to Toowoomba and Brisbane, or those seeking an executive lifestyle with some cattle,” he said. Mr Forrest said the size and scale of the property had attracted good enquiry regionally, but also from Western Queensland, NSW and the Sunshine Coast. Cowarrie is presently destocked but can carry 300-350 cattle. The sale offering also includes immediate access for 350 head. 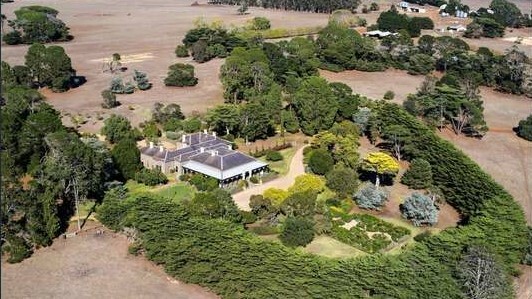 The classic high-country property Pejar Park, in southern NSW, is expected to achieve between $5 million and $5.5 million when it is auctioned next month by Meares & Associates. 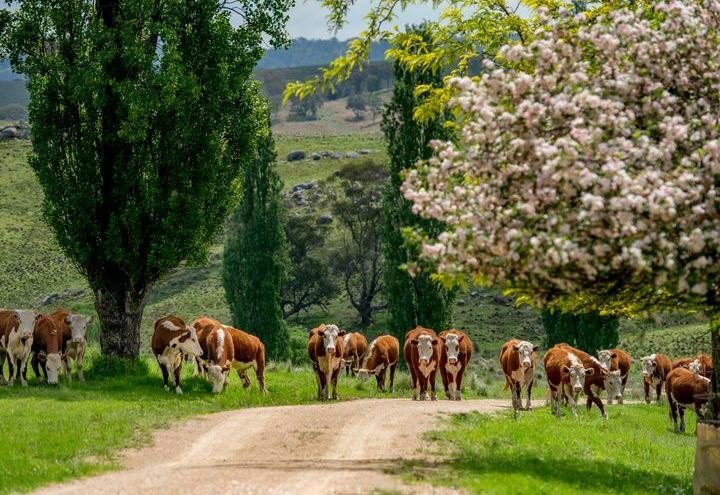 Described as one of the region’s best-known rural properties, the 573ha Pejar Park, pictured below, is situated near Woodhouselee village, 25km north of Goulburn and 75 minutes from Canberra. The country comprises 75 percent basalt soils, with the balance granite and loams. It is rated to carry 5500 DSE but is currently running 2200 composite ewes and 50 adult cattle. 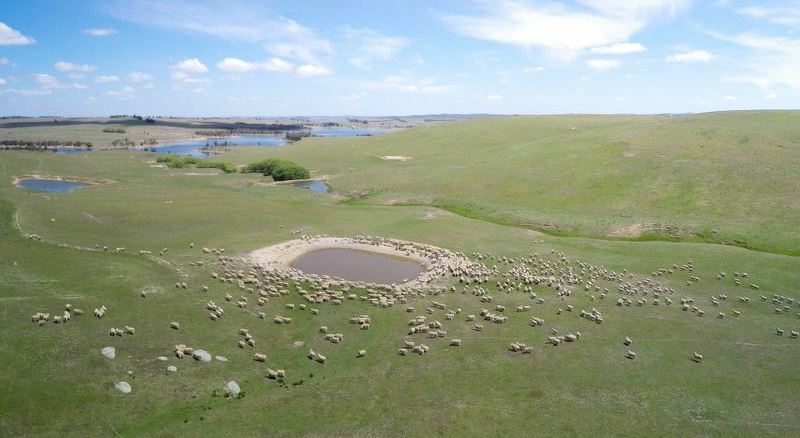 The property has a 6km frontage of the major water storage of Pejar Dam and is well watered by a 760mm annual rainfall, 31 dams, two spring-fed creeks and 13 troughs. Marketing agent Chris Meares said the influence of its current and previous owners has left an indelible mark on Pejar Park. Mr Meares said the current owner Nicholas Rowe has not only preserved but developed the property to the showplace that it is today. In achieving these increases Mr Rowe has concentrated on paddock subdivision, pasture improvement, consistent fertilising of the land and upgrading the water and stock handling facilities. Mr Meares said Pejar Park is expected to command considerable interest given its location close to Sydney, Canberra, Goulburn, Crookwell and the Southern Highlands. “Recent sales in the Goulburn/Roslyn/Crookwell area have seen land sell for upwards of $8600 to $10,600/ha, which no doubt will continue, and certainly underpin the sales of such premium properties as Pejar Park,” he said. Pejar Park is being offered for sale via Meares online auction, commencing on December 17. After being held for generations of the Jeffrey family, the highly-regarded Tenterfield property Isla, in the northern New England, has been listed for sale. Comprising 1318ha across 40 titles, Isla is predominately undulating, selectively cleared, blue granite grazing country. Stands of box, apple gum, stringy bark and gum provide shelter for livestock among the property’s sheltered hills and valleys. Bruce Birch from Ray White Rural said Isla boasts scale and production. Significant areas of Isla, pictured below, have been contoured and grow a variety of native pastures which have been enhanced by regular fertiliser applications. The topography and contouring may provide opportunities for increased production through the improvement of pasture species or cropping. Isla is situated in a 1050mm rainfall area and boasts abundant running water provided by three creeks, as well as numerous spring fed and catchment dams. Mr Birch said shelter, ample and easy watering points are the key to the success that Isla has enjoyed allowing it to turn off award winning weaners year in year out. Tenders close on December 14. There’s been solid local interest in the 25,900ha Western Lands lease Eurella, 28km north of Ivanhoe, which has been listed for sale for the first time in 107 years. The country comprises red sandy loam soils, native pastures and is timbered mainly with belah, rosewood and some nelia and yarran. Eurella is owned by Chris and Jane Stanmore who have decided to downsize. Geoff McDougall from Landmark Harcourts Hay said interest was coming from producers to the north, south and east seeking expansion, as well as investors. He said in the past, the property ran a self-replacing Merino flock with 5000 breeding ewes. Since 1998, Eurella has run a self-replacing white dorper flock of 4000 breeding ewes and 80 head of cattle. However, opportunity grazing of 2000 trading and agistment cattle in good seasons is a bonus. Over the last seven years, opportunity goat harvesting has averaged 1539 head per annum. This year, a new auxiliary bore was sunk adjacent to the existing bore. The water is pumped directly from the borehole, 16km to the Eurella homestead into four receiving tanks and then reticulated via pipelines to the paddocks. The Rutledge family has decided to sever pastoral ties to Bungendore, in the Southern Tablelands, after 175 years in the district. Succession planning has prompted the sale of the 382ha Lockhart and 526ha Massey Creek – two adjoining picturesque grazing properties offering productive, open-valley farming country, ideal for beef cattle, prime lambs and wool production. They once formed part of the nearby Gidleigh Station, a well-known and prosperous rural enterprise, owned until recently by generations of the Rutledge family. Together, Lockhart and Massey Creek run 200 cows plus followers, with a good percentage of arable land with perennial pastures and native grasses. Sam Triggs from Inglis Rural Property believes the properties will attract interest from local producers or investors from Sydney or Canberra. “The farms present large-scale holdings in a region that is more readily subdivided into smaller rural lifestyle properties. Both properties have subdivision potential with excellent road frontage with numerous titles. They also offer a rural alternative for those working in the city,” Mr Triggs said. The properties front the Massey and Butmaroo Creeks and stock water comes from established and newly built dams. Lockhart also has access to an equipped bore and well, and a reticulated tank and trough water system. Lockhart and Massey Creek are being offered for sale via expressions of interest, as a whole or as separate assets, closing on December 12. They are expected to achieve around $4m. 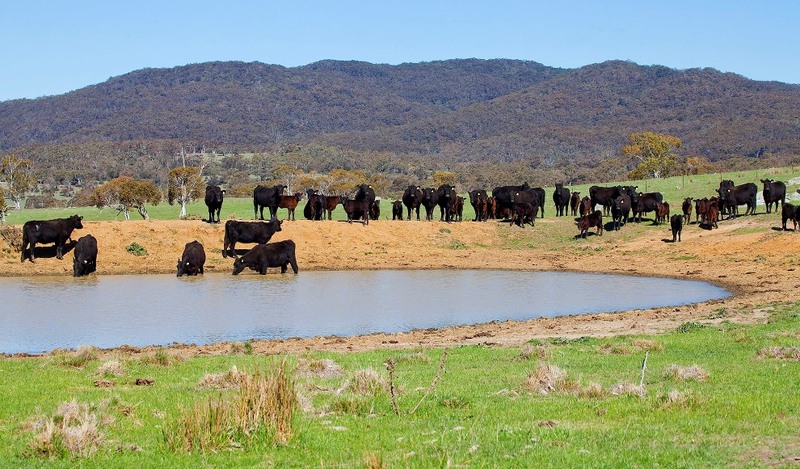 The northern NSW grazing enterprise Neranghi North has been listed for sale for $4 million. 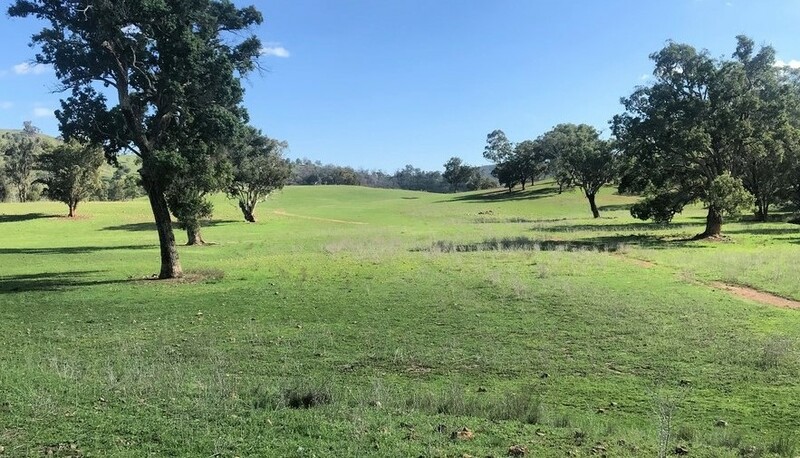 The 1513ha well improved property, pictured below, located near Barraba, features valleys sloping to hill country with a good mix of open grazing and shelter. Situated in an 800mm rainfall area, Neranghi North has a robust water supply including two equipped bores, dams, semi-permanent creeks and troughs. With an estimated 400 to 500 cows and calves carrying capacity, Neranghi North is also equally suited to sheep grazing. Michael Guest Rural Property NSW said for many years Neranghi North was operated as both a sheep and cattle operation. Mr Guest said after 18 months of ownership, the Lowick family has decided to change direction.